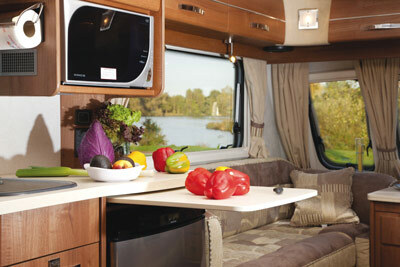 Caravan buyers spending £30,000 on a new model expect perfection and the new AS Caravans Kensington delivers that in so many ways. 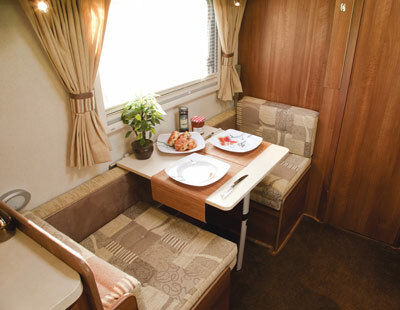 It’s the first caravan to have a power mover as standard, there’s an extractor fan in the shower, its television rises electronically from a cabinet, the wardrobe has two entrances and the heating unit is mounted under the floor. 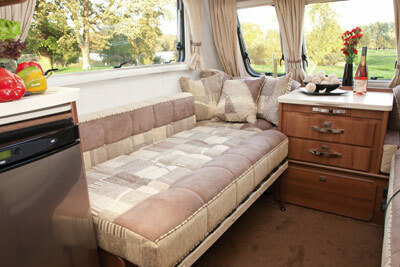 Those are just five of the features that mark out the three-model AS Caravan range as totally different. In importance terms, top of the Kensington’s long list of equipment has to be the ATC stability control system. A single-axle caravan weighing up to 1800kg benefits more than most models from this safety feature that detects and corrects any tendency to sway. 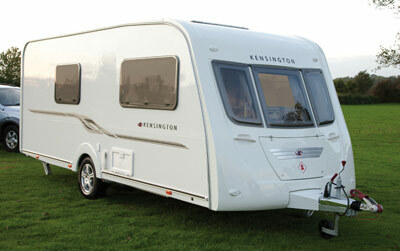 Those keen to keep caravan insurance costs down will be pleased to know that in addition to discounts for the ATC electronic anti snaking device, caravan insurance discounts will also apply for the Kensington’s standard fit Hal Locate caravan tracking device (with two year’s airwaves included), its Sargent motion sensor alarm system and its AL-KO Secure axle wheel lock too. 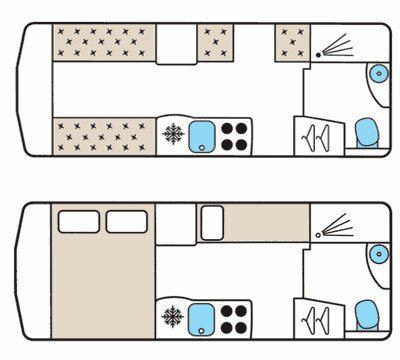 AS caravans have the new AL-KO Mammut mover fitted as standard and all models also have underfloor insulated 40-litre water tanks with all piping within the caravan. The Whale heating unit is mounted under the floor, so there’s no imposition on the layout. There are only three outlets for the blown air but, on test, we were surprised how quickly the Kensington warmed up. The microwave is mounted below top-cupboard level, making it safer for short people. Above the hob is a Dometic Circulair, an air filter containing a carbon element to absorb and smells. 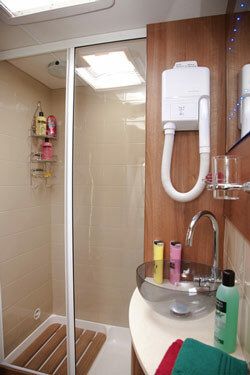 Also on the standard equipment list is a first in caravans – a hairdryer, mounted by the mirror in the washroom. And the surprises continue outside; there are front road lights at both top and bottom of the body, and three orange running lights along the sides. The large rear washroom is a sheer joy. The shower is rectangular; twice the size of most caravan showers. The mirror has 14 bright blue LED lights set into it. The washbasin is clear plastic, fruit-bowl style. The toilet has a padded lid so you can use it as a seat. And the wardrobe can be accessed both from within the washroom and by a second door into the main living area. But in this area we discovered a problem. The table is stored in a slot under the wardrobe. You have to open the washroom door to extract it – a bit of a nuisance. When folded, the table leg locking arms protrude beyond the table. This means that when you slide it into its slot, rather than slide on the table edge (as is usual), it has to slide on the locking arms – and that means it doesn’t slide at all. The result is that extracting and replacing the table is a struggle. There’s plenty to like about the Kensington, though. Lighting is amazing. Strips of white LED run above the lockers and illuminate the lockers inside, too. There’s a good, big light above the kitchen plus two spotlights above the hob. The surprise refinements list – shower steam extractor, hairdryer, pop-up television – confirms that the Kensington aims to cosset its occupants. This is one of the most expensive tourers made in Britain. As such, we’d expect the best. It’s nearly there but not quite. 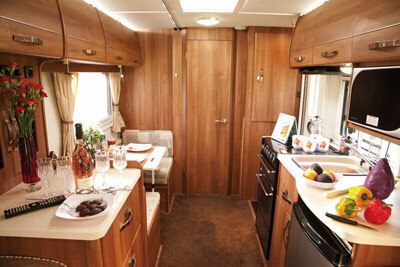 But then this is AS Caravans’ first venture, so there’s time to hone and perfect. We have a Kensington and find it superb,there is only one niggle,but i appear to be the only one it affects,the “Salad Bowl” wash basin,but i will learn to live with it. 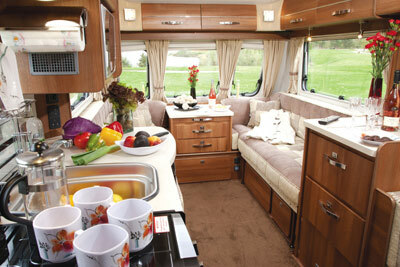 As regards the price,this is not out of step with other caravans of similar size,when you factor in the build quality,motor mover,alko tec anti snake,hal locator,dedicated TV station,shower extractor fan plus the hair dryer and a 12v hoover type gismo,all standard,add these to other top of the range caravans and you will be surprised how competitive it is. We also have had contact with the MD of Autosleers and Manager Marquis Northampton,plus Chris Bennion,who have kept us informed at all times as to the progress of our c/van,so not only are we very happy with it,we could have not dealt with nicer people. £30k & it’s only got blown air heating !